The Lolling Coffee Table is designed in the style of our popular Lolling Chair, which took inspiration from a ubiquitous post-World War II porch chair. The table utilizes traditional joinery, with wedged through tenons forming a visible junction between the tabletop and each of its four curved legs. 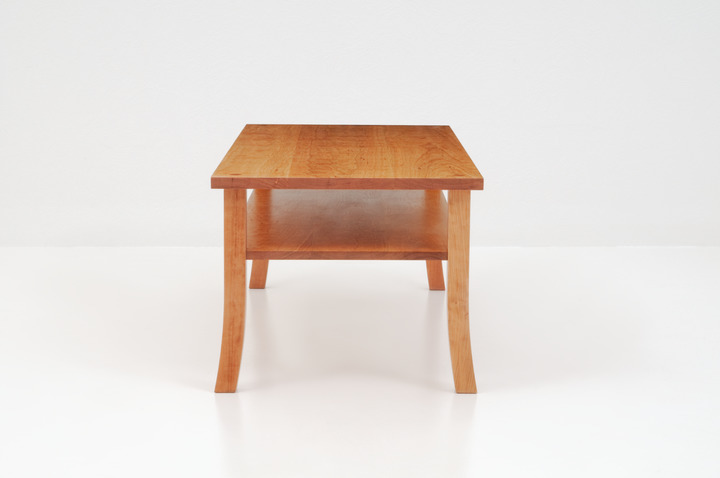 Made of sustainably harvested North American hardwood, each table features a solid, matched-grain top, with a matching lower shelf for discreet storage. 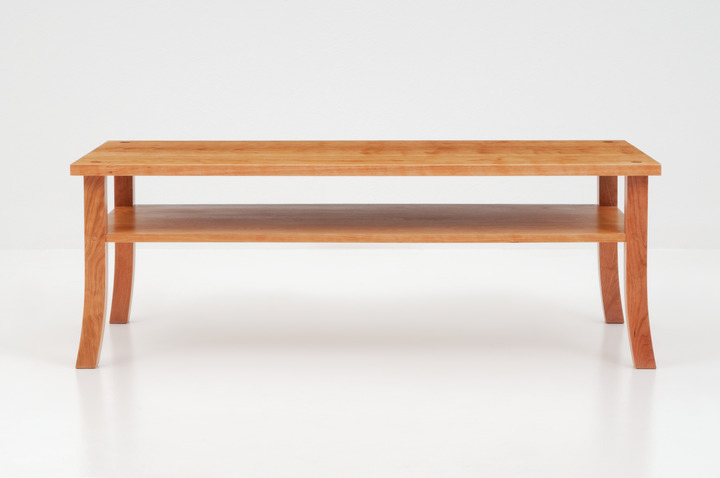 Inspired by the Lolling Chair, the Lolling Coffee features four rectangular legs that curve gently as they rise to support the shelf and tabletop, the design is both spare and substantial. 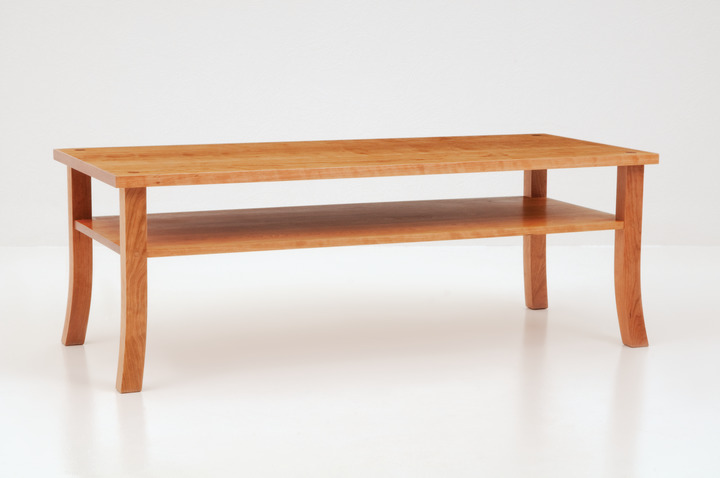 Made of hand-finished North American Hardwood, the Lolling Coffee Table offers a vivid example of visible joinery. 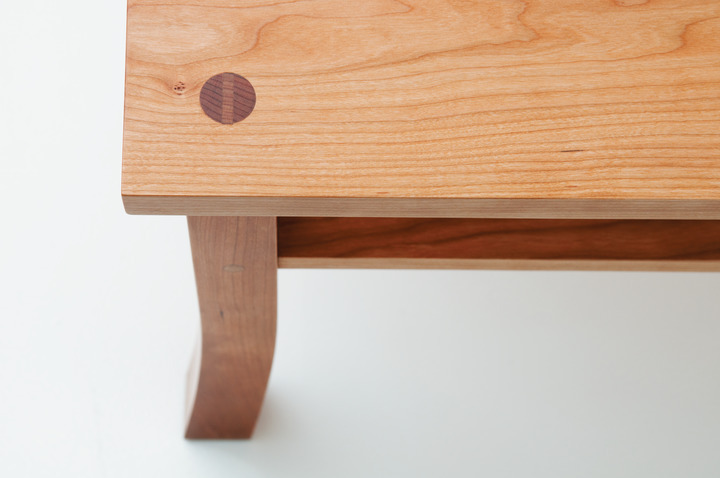 The broad, matched-grain tabletop is marked by four wedged through tenons, where the legs are secured. 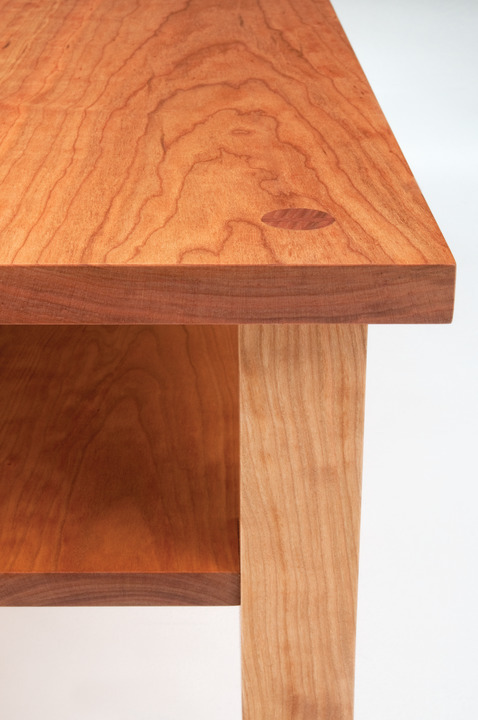 A handy shelf is situated beneath the tabletop, where it joins with the legs to provide additional support. Ideal as a companion to the Lolling Chair and Ottoman, the Lolling Coffee Table is among our most versatile, integrating with any living room setting.